Scars are a testimony to the love of God that is stronger than my pain…a love that never gives up, even when I wanted too…..
None of us escape the pain and hurts of life. To live is to hurt, and we all have the wounds and the scars to prove it. All too often I think that if we fail to respond appropriately to the wounds life and relationships inflict, our pain will be wasted; it will numb us or even destroy us. But our suffering doesn’t have to devastate our hearts and rob us of joy. It can, instead, lead us to life—if we know the path to healing-Jesus!! Real healing isn’t just about finding relief from the suffering; it’s an open door to see God (and ourselves as well) in a fresh new way….to see the world through new eyes. I don’t know about you, but when life gets crazy for me I tend to want to do anything to feel better…to numb the pain. Sometimes I can easily become consumed about fixing the problem in my own way and in my own strength, relying on my own limited amount of wisdom. Or I can become addicted to doing….living a perfectionistic, totally put together life. Occasionally I shut down my heart so I don’t feel anything. Or maybe now and then I will cling to anyone or anything that makes me happy, so I end up addicted to an unhealthy relationship or situation. Can you relate to any of these as well? How do you run from pain and brokenness in your life? Do you bury your head in the sand, become indifferent or try to fix it? Do you feel stuck or depressed? Or maybe you feel hopeless and alone? In Psalm 13, David was upset and hurt. Four times in the first two verses he pleads with God, “How long O Lord?” He even questions God, wondering if He has forgotten him. Yet by the end of the Psalm David expresses confidence in God’s power to rescue him. When we run to God we find a safe place to be honest with our pain….we can pray and ask God for the courage to open our spirit and deal with the core of our brokenness and loss. Never does He tell us to just get over it, never does He shame us when we are in pain, and He is certainly never shocked. Rather, He enters our pain with us and remains present in His love and strength even if everyone else walks away, deserting us. 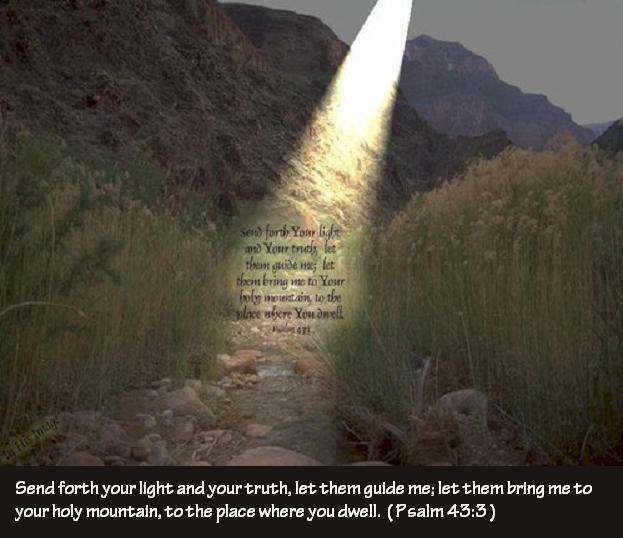 The bible says that God is close to the brokenhearted and those crushed in spirit…..He promises us in His word that He will never leave us or forsake us…God cries with you, and gathers your tears in a bottle…..when we are honest with God it opens our hearts to receive his tender care, His wisdom, His strength and His comfort. Don’t do like I did for too many years denying my brokenness….instead accept God’s invitation to bring your heart to the only one who can bring true healing. And then rest in His unfailing love for you…..
I’ve always liked Henry Nouwens writings and this one really speaks to me. I find this to be a daunting quote, yet one that holds so much truth. There is no way I could unpack it all but some things did jump out at me. Living our wounds through~this is something most of us would rather choose not to do….it is much easier (or so we believe) to constantly think them through …even be tempted to analyze them to death..
Maybe you are like me and always want to find the root of what’s causing our pain. Asking ourselves questions such as: why do I act or think particular ways? Is there something that I haven’t dealt with, worked through or maybe there is a repressed memory? Is it my relationship with my parents? On and on the thought process goes. While it is good to look at these areas, all too often all we do is think about them…. Maybe it’s all about trust…..trusting God. Although in our heads we know we can trust God, our hearts don’t always agree……Do we agree with Henri Nouwens words; your heart is greater than your wound? To live our wounds through~This is difficult, especially for those of us who avoid pain at all costs…. when pain doesn’t go away fast enough we criticize ourselves for not getting over it, for not being strong enough, or even for being vulnerable or for feeling helpless in the first place. If all we do is continually think about them it actually hinders the healing process. I believe we are all in need of healing. We all have wounds: wounds from our past, wounds from relationships, and self-inflicted wounds caused by bad choices. But healing is a process….. And it can be scary too. And all too often we are afraid to speak about our pain or even acknowledge our need of healing. It sounds so simple doesn’t it….to not focus on trying to identify the cause of our pain; but to simply show Jesus our wounds and speak to Him about the pain. We do not need to be afraid. The very fact that we are aware of our wounds show us that we have ample strength to face them….God will give us the strength and the courage we need to face them, to live through them. In Scripture we find that Jesus showed His wounds to the Apostles, and He invites us to show Him our wounds. 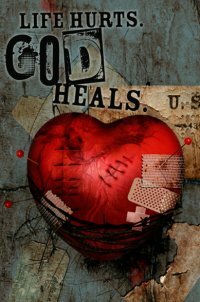 When we speak to Jesus about our pain and our wounds it is the first step to permitting Him to heal us. As you pray, see Jesus inviting you to place your pain in His wounds. As you pray in the Spirit reach out and touch His hands; touch His side; touch His Heart. And then dear friends spend as much time as you need, in His presence, RECEIVING His love. By His wounds we are healed…. He was wounded so that we could find healing…..His wounds are wounds of love for our healing; our wounds are receptacles to receive His healing love… the invitation to touch Jesus’ wounds, results in our healing. All too often at the heart of every woman afraid to call herself beautiful is a woman who has been wounded. And I’ve learned over the years that avoiding beauty or refusing to pursue it is self-protection. Why is it in our hearts we believe that we’ll never be good enough, that we will never be accepted? For too many years, and still do at times, I felt that I was ugly or plain….the ugly duckling, one who could never call herself beautiful. Truthfully, I didn’t want to feel the pain of my childhood or the choices I had made. Do you remember the fairy tale of the mermaid girl who longed to be beautiful? Her mother would clip sea shells on her tail, and as the girl cried out, her mother reminded her that beauty must hurt. Today that is a true statement for many of us…beauty does hurt, but for a different reason. It hurts to open ourselves up again to disappointment and rejection. Acknowledging our desire for beauty can reopen wounds we’ve fought to close. We chose silence hoping it would heal us, and avoidance would help us to forget. But the little girl inside us, who longed to be beautiful, to be accepted, is still there. So what do we do with her? Are we willing to bring the little girl inside of us to Jesus? Or are we too afraid? Women, Jesus will accept us just as we are. He will protect us, and give us courage to believe again. Jesus will allow us to believe again in love and beauty, and in a God who will always call us Beautiful!! Jesus, we bring to you the little girl inside of each of us, thank you Jesus that you accept her just as she is……come Lord Jesus to your women, come Holy Spirit….protect us and give us the courage to believe….to believe again in love and beauty and in You Lord, a God who will always call us beautiful. Give to each woman reading here a supernatural vision of how You see her…..before others can see our feminine beauty we must first shed the cloak of aloofness and acknowledge that we need You Father to heal our hearts…set us free…..
….no longer do we want silence to heal us, or avoidance to make us forget…..we acknowledge that the little girl inside us who longed to be to be accepted, to be beautiful, to be seen and cherished is still inside….only You Lord can come and rescue her and heal her……restore to us a Holy passion. Father God- heal our wounds….come Lord Jesus come….